By planning and following some simple guidelines, you can save about 15 percent at the grocery store. Your family can still enjoy nutritious, inexpensive meals, and you will have money left to pay other expenses. Know Your Food Budget: Good planning is an important part of stretching food dollars. You need to know how much money you have for food (including the value of food stamps), what foods you have on hand, and what is on sale. Find out What You Currently Spend on Food: Write down all the money you spend on food for one week. Then multiply that number by four to see what it costs to feed your family for a month. If your budget is tight, you may need to cut back on that amount. You can compare what you are spending to the U.S. average cost of food at this Web site: www.cnpp.usda.gov/USDAFoodCost-Home.htm. USDA’s Food Plans estimate the weekly and monthly costs of a nutritious diet at four cost levels: thrifty; low-cost; moderate-cost and liberal. You must provide the age, gender and number of meals eaten away from home for each person in your family. To avoid overspending when you go to the grocery store, take only the amount of money you can spend that week. Don’t Include Non-Food Items: Your food budget should not include items such as: paper products (e.g. napkins, paper towels and toilet tissue); soaps and detergents; cleaning agents; personal care items; household supplies (e.g. light bulbs); diapers and pet food. Non-food items usually are cheaper at discount stores. Grocery stores often price these items 20-40% higher than discount stores, but shoppers find it convenient to buy them while food shopping. Stretch Your Food Budget by Growing Some of Your Own Food: Plant a vegetable garden. If you don’t have a large plot, then plant items like tomatoes and strawberries in pots on your patio. Beans also can run up a small trellis. Grow herbs in a flower pot or a windowsill container. Take Advantage of Additional Resources: USDA’s nutrition assistance programs provide assistance to millions of American households struggling to balance their budgets. For more information, refer to “Other Resources” at the end of this fact sheet. Make a Menu Plan for the Week: You can save money and preparation time by cooking and eating meals at home more often. Plan nutritionally balanced meals around food you have on hand and sale items. Collect Low-Cost, Nutritious Recipes: Most people rely on a core of about 10 recipes for family meals. These should be healthful, tasty and easy to make. Assemble the recipes your family likes, including a meatless main dish as well as lean beef, poultry and fish. Put the recipes in a notebook and serve them often. Choose simple recipes that are quick to prepare and cook. Since we eat with our eyes, make meals appealing by using foods of contrasting colors, textures, flavors, sizes and shapes. Cooking from scratch the “old fashioned way” is better for your health and budget, since convenience foods cost more and often contain fewer nutrients but added fat, salt, sugar and calories. Keep in mind which days you’ll have plenty of time to cook from scratch and which days you’ll be too busy. For help with menu planning and recipes, check your supermarket’s Web site. When your time is too limited to plan every meal for the week, plan the main meal for each day, and add several healthful snacks for the week. Include Low-Cost Main Dishes: This is one of the best ways to economize. Eat meat less often, because it can be expensive and high in fat. Where available, use fish and wild game. Replace meat with dried beans, peas, lentils, tofu, eggs and other protein sources more often. Stretch meats by using them in sauces or casseroles. Request that the butcher run cheaper, tougher cuts of meat through the tenderizer, or you can marinate or slow cook them. Find out what time of day markdowns are made, and plan your shopping to take advantage of them. Balance buying more expensive foods with low-cost alternatives. For example, if you want to splurge and have steak once a month, then budget for it by serving meatless meals and using low-cost main dishes more often. Plan the Use of Leftovers: Instead of thinking “leftovers,” think “planned over’s.” Sometimes you can get two meals for the price of one. Knowing in advance that you’ll have “planned over’s” will keep you from overbuying foods with a limited shelf life or grabbing fast food. Cook once, eat twice. Cook a whole chicken and use it for more than one meal. Buy enough ingredients to cook more than one meal, and freeze meal-sized portions as your own frozen dinners. When safely handled, leftovers can be used in casseroles, soups, for snacks, and in lunch boxes. If food will not be used within a few days, plan to freeze it for the future. 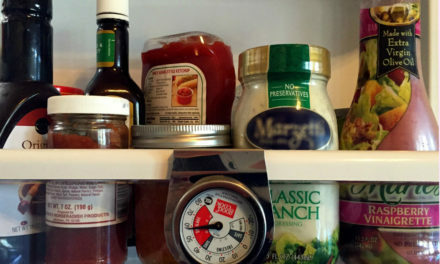 Check What’s on Hand at Home: Know what ingredients you have in your cabinets, refrigerator and freezer. Take an inventory so that you won’t buy food you don’t need. If storage space permits, stock up on sale items used regularly. However, remember that the most expensive food we buy is the food we throw away. Staple food items store well and stretch meals, so keep plenty of them on hand. This includes foods such as: canned tomatoes; tomato sauce; spaghetti sauce; canned green beans and corn; raisins; canned fruit and dry beans. 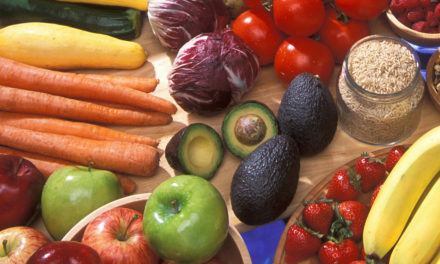 Make a List of the Foods You Need to Buy: Having already planned your menus, the rest is easy. Write your shopping list based on your menus, what you have on hand and the store specials. Your shopping list is your weekly “plan,” and you must stick to it. Look over the recipes you plan to use, and make sure you have the necessary ingredients. Remember to add the staple items you need to buy. Organize Your Shopping List: To save time, compile a master list of basic items you buy every week (e.g. milk, meats, bread, cereal and produce), and make several copies of it. Keep a pencil and a copy of this list handy to jot down other items as your supply gets low or as you run out of them. Include quantity or sizes needed for your recipes. Encourage all family members to add to the list. Underline essential items and buy them first. If you have enough money, you can get the other items. It helps to write the sale price next to each item on your list. Organize the list according to the store layout or by food type and department (e.g. meats, canned foods, and dairy products). When you get to the grocery store, you’ll know exactly what to buy and where to find it. Don’t go down every isle. This saves time, reduces the temptation to buy foods not on your list, and helps avoid forgetting items. Make Your List Flexible: Instead of listing broccoli, write down “green vegetable, broccoli.” Then compare the availability, quality and cost of several green vegetables. Substitute the one that is the best buy. Check Store Specials: Use ads in weekly flyers, newspaper ads, online, on radio and television to compare advertised prices among stores. Find out where you can save the most money. Remember that the price of gas to drive long distances between stores may not be worth the savings. Check the ads for sales and ideas about healthy items you’d like to cook. Using grocery store ads and coupons, usually saves about $4 to $7 per week. Sales on different categories of items are rotated on about a 12-week cycle. By stocking up when foods are on sale, you can take advantage of the best prices and shop from your own pantry later. “Specials” & “Loss Leaders”: These bargains save you money if they are items you use. To attract customers who will usually buy other merchandise, grocery stores often feature “specials” at reduced prices and “loss leaders” at below cost. If a store limits the quantity of an item (e.g. “limit four per customer”), this may be a ploy to get you to buy more. Consider that the price of gasoline to drive long distances between stores isn’t always worth the savings from sale items. Unadvertised Specials: If you get to the store and see an unadvertised special that is too good to pass up, be flexible. Change your plan and add the food to your list. Buy only what you can store and use before it spoils. Canned goods have a long shelf life. Before buying an unfamiliar food, be sure you know how to prepare it. “Quick Sales”: Sometimes grocers need to make room in a hurry, so they mark staple items down for “quick sale.” However, you have to use marked down perishable foods quickly. A special sale may make it worth your while to change your menu or use a substitution for an expensive ingredient. If skinless chicken breasts and lean ground beef are on sale, plan to serve baked chicken and chili for two dinners during the week. Consider substituting an ingredient (e.g. a seasoning or spice) that you have on hand and use on a regular basis for an expensive one that you’d have to buy and use only a few times. The dish may be slightly different from the original recipe, but it will still have an acceptable flavor, texture and appearance. “Buy One, Get One Free”: This isn’t always cheaper, because the cost of the first item may be more than another comparable brand. Ask if you have to get two items to receive the “buy one, get one free” discount. Quantity Discounts: Usually you don’t have to buy the quantity specified in deals that advertise a certain number of items for one price. For example, if the special is 3 for $5, one item will usually ring up as $1.67. Quantity discounts don’t always save you money. Clip & Use Coupons: Use coupons when items are discounted or on sale. Most coupons are good for at least three months, allowing you to take advantage of a categorical sale before it expires. According to the January 2009 issue of the Supermarket Savvy newsletter, the Sunday inserts in your local paper contain $50 to $75 worth of coupons. You can save at least 10 to 15 percent on your grocery bill by using them. Just using coupons for coffee, cereals, prepared foods, flour and flour mix products can save about 10% in most food budgets. Know each grocery store’s rules for using coupons, and don’t always rely on the cashiers to know. Some stores may honor coupons from other stores or match advertised prices. Ask for a rain check if the store is out of a sale item. Store & Generic Brands Versus National Brands: Coupons save money if you use them to buy items you normally use instead of to try new convenience foods. Sometimes coupons are used to promote the sale of new products. Do not use a coupon for a national brand to justify buying a food your family does not need or that costs more than a store brand. Most cents-off coupons offered by stores or manufacturers are for name brand items, sugary snacks, more expensive, highly processed foods, or for foods in abundant supply. Store brands and generic brands have no national advertising. They often are less expensive than name brands bought with a coupon, and their quality may match the national brand. Store coupons usually can only be used at the specified store. Compare prices and forms of nationally known brands and store brands. Breakfast cereals can vary greatly in price per serving, yet the difference is mostly in the packaging with few nutritional differences. Compare the prices of frozen, canned, fresh and dried forms of the same food. Coupon offers and special sales tempt you to buy impulsively, which can blow your budget. Some foods may not be within your budget, even with refunds, coupons or at special prices. When potato chips are on sale, they are still just expensive, empty calories. Double & Triple Coupon Days: Some stores have double or triple coupon days, which increases the value of coupons. Take advantage of these days if the store you frequent offers them. Find out if the value of the coupon has to be under a certain amount. Learn how to combine triple coupons with in-store deals. Whenever possible, double up on coupons by using a manufacturer’s coupon and a store coupon at the same time. Mail-in Refund Coupons & Rebates: Although these are popular, you must remember to mail the request, including all the required proofs of purchase. You also must pay the postage. Internet Couponing: If you have access to a computer, there are several Web sites that offer coupons and regional sales information. Print off coupons for items you really need. Check the Web sites of stores where you shop and of products you use. Product labels usually provide Web site addresses, also. Become a member of an internet coupon group and exchange coupons with other members. Get Organized: If you keep your coupons in an envelope with your shopping list written on the back, they will be easy to keep up with and retrieve at the checkout. Circle the expiration date of each coupon and use it before it expires. If you don’t have the time and the personality to be a serious “couponer,” then skip the coupons and buy what’s on sale. Cut Down on Convenience Foods: Cook from scratch and do most of the preparation yourself. That way you control what goes in the food, including less fat, salt and sugar. You pay for convenience, such as ready-to-cook chicken breasts. Use Store Discount Cards: Sign up and use store discount cards, or loyalty cards. Ask if you need one to get the advertised savings. Cardholders usually are offered advantages, such as instant access to sales and in-store discounts, purchase points toward rewards (e.g. Thanksgiving turkey), and extra coupons printed on the back of receipts. Buy Seasonal Vegetables & Fruits: Use oranges in the winter and peaches in the summer. Fresh produce has a short shelf life, so buy only what you’ll use. Ask your store’s produce manager for delivery days so you can get your vegetables and fruits at peak quality. Farmers’ markets, roadside stands and U-pick farms are good sources of fresh, local produce at a good price. Shop at Low-Cost Stores: Food cooperatives and warehouse food stores usually have low-cost foods. Convenience stores usually have higher prices, with the possible exception of dairy products and soft drinks. Dollar stores may sell items like canned fruit and snack crackers cheaper than the grocery store. “Day Old Bread”: These products are sold at thrift bread stores at bargain prices. Some grocery stores also sell “day old” products at about half price or less. Try to select 100% whole grain products. Toast or freeze them for good eating. Avoid Overbuying: Consumers spend about $2.17 for every minute in the grocery store, according to the Food Marketing Institute. Most unplanned purchases are the result of the shopper seeing, touching, smelling or tasting something pleasurable. Grocery stores work hard to get you to buy foods on impulse that aren’t in your food budget. If you entertain friends and family, simplify the foods you serve to ensure that it doesn’t take too much of your grocery money. Avoid specials on sodas, expensive ready-to-eat salty and sweet snacks that contain calories with few, if any, nutrients. Try to shop no more than once a week. When you shop more often or in a large number of stores, you are more likely to buy extra food that you don’t need. If you shop at more than one store, go to one this week and buy enough bargain items for two or three weeks. Shop at a different store the next time. Advanced planning reduces or eliminates extra trips to the grocery store during the week, saving both time and money, especially on gasoline. If you must shop between weekly trips, try using a basket instead of a cart to limit spending. Shop at the Best Time: It is easier to stick to your shopping list and avoid impulse buys if you follow these guidelines. Don’t Shop When You Are Rushed: Shop when you are rested, not rushed, and you will have time to find the best buys. For example, you can compare prices to know whether it will be cheaper to buy fresh, frozen, canned or dried apples for a recipe. Shop When the Store is Less Crowded: This is usually in early morning, late evening and midweek. Friday afternoons and Saturdays are usually the most crowded times, resulting in distractions and long lines. Stores also are busy during weekday afternoons when people stop on their way home from work. Eat Something Healthy Before Going to the Store: Eat an apple or other small snack before you shop. If you’re hungry, you may find it hard to stick to your list. Everything looks good, and you’ll be tempted to spend more, especially on expensive prepared foods and less nutritious snack and dessert foods. Those “extras” in the grocery cart will eventually wind up on your waist line! Shop Alone if You Can: To avoid unplanned spending, leave tired, hungry children and other family members at home. Children may see and want items advertised on television. Spouses may want to buy non-essential or gourmet items that are not on the list. Senior Citizens Days: Look for grocery stores that offer extra savings on “Seniors Days,” and take advantage if you qualify. Find out how old you have to be to get the discount, and ask how often and on what days discounts are offered. It’s a good idea to have a cooler in your vehicle for keeping perishable foods safe on the way home, especially in warm weather. Shop for cold items last, including meats, eggs, dairy products, frozen vegetables and salad bar ingredients. You may qualify for the Supplemental Nutrition Assistance Program (SNAP) and other programs. To find out if you could be eligible, check out the Internet tool at www.foodstamps-step1.usda.gov. Your local library usually has computers to use. Call or go to the local SNAP Office if you think you are eligible. This office is listed in the blue pages of your phone book under Social Services or Human Services. You also may call 1-800-221-5689. If you get SNAP benefits and have children in school, they qualify for free lunch and breakfast. Contact your local school or school district for more information. Women who are low-income and pregnant, breastfeeding, new moms, or have children under five years old, might qualify for Women, Infants and Children (WIC) benefits. The Emergency Food Assistance Program (TEFAP) is another Federal program that provides food to low-income persons. For more information on these and other similar programs, visit www.fns.usda.gov. Your local community may also have resources that provide food if you qualify (e.g. a soup kitchen, food pantry, nutrition center, or meals on wheels program). 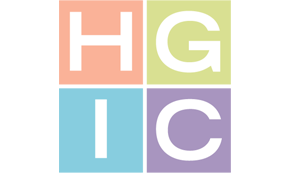 To learn more about saving money on food, refer to HGIC 4221, Stretch Your Food Dollars Part 2: At the Grocery Store and HGIC 4222, Stretch Your Food Dollars Part 3: At Home.